TONGUE-TWISTING beats and swaying guitar rifts bring us to a Manchester band embracing the very nature of this psychedelia pandemic shaking up the underground industry at its core. The dedicated foursome have indeed come on an immense deal within the last year, selling out a number of shows throughout the North West including Manchester's very own Night and Day Cafe for the launch of most recent single; 'Illumination'. Being described as bringing the 'strut back into pysch' by NME, The Watchmakers surely know how to portray an image most different from the rest, like using a smoke signal rather than a mobile phone, this quartet have the foundlings of this unified classification grounded right were it needs to be. Their Illumination B-side, 'Carpe Diem' possesses a slow rippling beat curdles through the darkened instrumental, echoing to the trickle of guitar and slow burning bass, crushing our craniums with such potent waves of hypnotic paisley swirls - enough to induce a sound coma. Numbing slurs then begin to chime, riveting around a spiralling concave to drug us into submission, stumbling with its own feet. Once absorbed, we find ourselves drinking a potion out of this world, trying to contemplate the phenomenon that just possessed our own very thoughts. If you're looking for a soundtrack to cleanse your being then look no further. 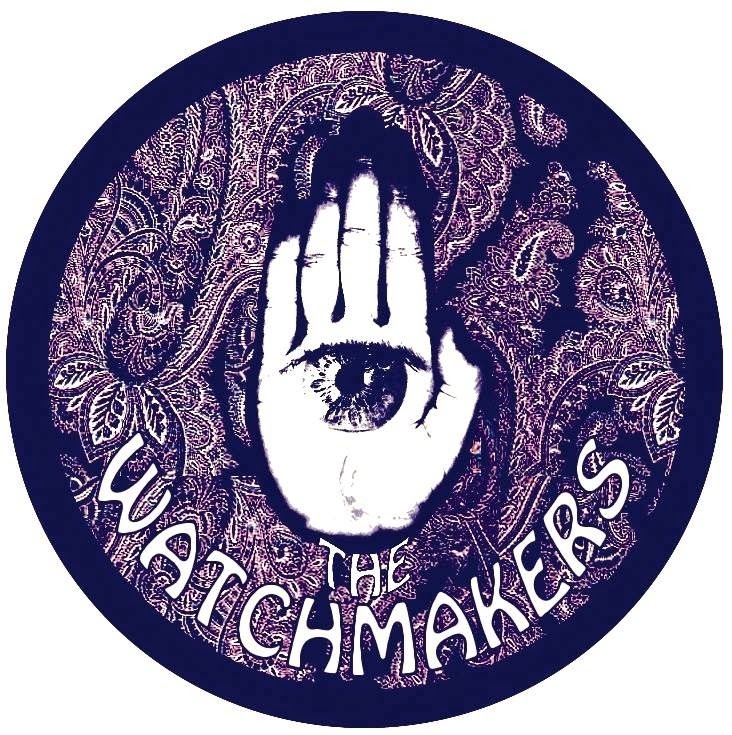 How would you sell The Watchmakers to future listeners? We're often compared to the likes of The Brian Jonestown Massacre and Primal Scream. Although we're a psychedelic band, we try to touch on other genres. Nobody likes a band who's sings are all the same. If you like big, round sounds, reverb and delay, you'll probably enjoy our tunes! I'll leave the pigeon-holing to the public! You started out in 2011, how do you feel you've come on in 3 years? I joined around about Easter time in 2013 and our sound has developed a great deal in that time. We work hard as individuals away from the practice room so hopefully that shows in our music. We seem to have gained a decent following in that time as well and a lot of people seem to know who we are, which is nice. The Psychedelia market is growing at the moment, what do you think is the appeal about this type of music? I first properly got in to psychedelia in my mid-teens, listening to a lot of The Beatles and early Pink Floyd. Anything which is bright and experimental in it's structure will always have an appeal. It's funny how it seems to have taken off so massively though. It's always existed but for some strange reason it has become slightly more 'mainstream'. Temples seem to be the band who have really grabbed everyone's attention. Tame Impala really kicked things off a few years ago and I think a lot of people jumped on that. It isn't a bad thing but sometimes these 'psych' bands aren't psychedelic at all. It's a very vague genre these days! Do you ever get fed up of each-other? Like any band, we have our moments, but we generally get on brilliantly. We're all open-minded and there is no ego in the band, so arguments don't really happen. It helps when you have the same things in common. We have plenty to talk about aside from the music! Where's the place to be right now for music? Who knows! It's such a strange industry. We just keep our heads down and keep doing our thing and hopefully people will enjoy it. Manchester has always been famous for it's music but so has Liverpool. So has London. We wouldn't mind getting over to Europe in the not to distant future. I think we'd appeal to the cool cats of Milan! Any style tips to become a member of Watchmakers? Haha! We used to have a manager who used to go mad at us if we wore certain things. I don't suppose it's anything we think about. We all just dress how we would do. Again, we're like-minded people so if we do look 'uniform' on stage, it's a purely natural thing. You're from Manchester, do you think the reputation of bands previous to you is something you have to 'live up' to? Other people will make these presumptions. I don't think many Manchester bands are too obsessed with the past. Of course there is the odd exception and one or two stereotypes knocking about, but I don't think we necessarily fall in to that category. We're all big fans of The Smiths, The Stone Roses, Oasis etc,. but they're not necessarily a direct influence on our song writing. Selling out Knebworth was a pretty big achievement for Oasis. I wouldn't mind doing that! Have you got any crazy tales you can tell us? I wouldn't go so far as 'crazy' but we once played a gig where Howard Marks showed up. Sadly we'd already played. So if I tell you we got high with Howard Marks, would that count? Are festivals like Tramlines worth getting involved in to spread the word? Any time you play in a different city, it's exciting. We have played in London in front of big crowds which is obviously a massive buzz. You're always trying to make an impression, whether it be in Manchester or elsewhere. Spreading the word is the name of the game! When are we going to hear some more new material from you guys? We're off in to the studio the week after next record a number of tunes, so hopefully you'll hear something before Christmas! If you could all only take one item on a desert island with you, what would you take and why? I can't speak for the rest of them here but a device with Spotify access would be enough to keep me sane for a few months!! I could live without a guitar but I couldn't live without other music. I am definitely addicted to discovering new music.